In retrospect, “Samson and Delilah” could turn out to be a pivotal episode in The Night Of’s eight-episode run. Last week we got the reintroduction of Duane Reade, our first suspect who isn’t Naz. This week, the hearse driver from “Part 1” got that same treatment, painting him as another probable, additionally unsettling, suspect. Whereas last week we had John tracking down one, this week we got Chandra tracking down the other. 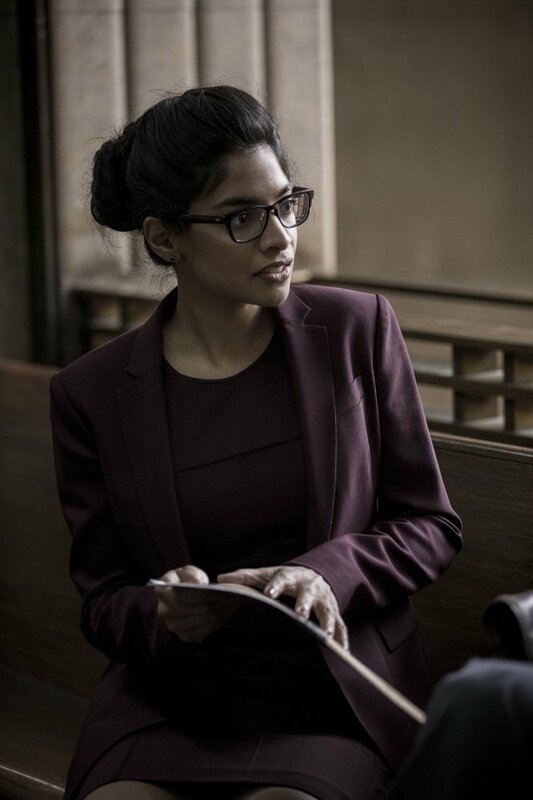 Chandra’s presence in this episode was much appreciated, as she portrayed someone who’s a good partner to John, but also as someone who can independently handle a case like Naz’s. Scrubbing through surveillance footage of Naz, Chandra discovers the hearse driver from that night who was irked by Andrea’s apathetic cigarette disposal. In tracking him down, the situation left Chandra creeped. I like the dynamic here that we are getting with our two defenders in John and Chandra. They both exuded equal parts bravery and stupidity going after dangerous men, all in the hopes to take the giant arrow of evidence off of Naz. John, who took a back seat this week, had the oh-so-enjoyable dramedic mixture of events. The Night Of can do a pretty great job of making even the grimiest of places look polished with its A+ cinematography. No matter how pretty the show is, John’s eczema has been an eyesore for the past five weeks. Alas, the relief for the viewer and John are synonymous. In John’s more investigative role, we see the argument between stepfather Don Taylor and Ray Halliday come to light at Andrea’s funeral . Ray gave John some vital, off-the-record information regarding Don Taylor and serial dating of older woman, preying on their wealth. It’s here that we get our fourth suspect, three of which were introduced in this and last week’s episode. I’m not sure what to make of last week’s ending, but this one ended with yet another revelation brought about by John himself. Snuggled into this episode was the trial that’s been budding dramatically since last week. Chandra is an underdog. John is an underdog. Naz: the epitome of an underdog. The trio has so much to work for, and we see just what caliber of offense Helen Weiss wields from the off. Branding the story she would tell as “A Tour Through Hell” followed by showing two stark pictures of Andrea (alive and dead), the trial was tilted deeply to one side. And outside of a small objection from Chandra, it was all just one side. The Night Of loves symmetry, and if that love is valid, we’ll have to get the defense soon. With this, I hope the underdogs hit hard with the likes of Don Taylor, Duane Reade and the hearse driver all being likely suspects. “Samson and Delilah” launched the end of what has been a fantastic summer series in The Night Of. The trial is underway, and no matter how subtle the vibe felt, it was all quite tense watching Naz’s list of evidence get thrown out there for the jury to see. We have three suspects other than Naz, and I feel it’s all about timing now. Naz’s time in prison is rotting him, and the danger is still ever-present. It’s going to be hard to see how this case continues to affect Naz’s family, with somber looks at Naz’s mom mopping, his father delivering food and his brother vandalizing the school. I feel all of these characters and we the viewers need a sigh of relief in whatever form that takes. Did you like Chandra’s more prominent role this week? Is John healed? Tweet me @NerdDot or us @YouNerded.